The rise and rise of Bitcoin prompted many blockchain enthusiasts to implement blockchain driven solutions for other real-world problems. 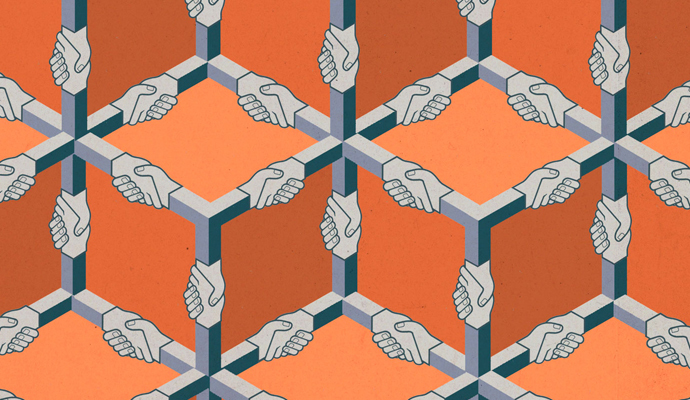 This urged developers like Vitalik Buterin to develop new blockchain ecosystems that support decentralized apps. Vitalik Buterin is the founder of Ethereum Blockchain. Ethereum ecosystem is based on smart contracts. Smart Contracts are computer protocols or codes that execute the pre-conditions of a contract. Only if the pre-conditions are matched, the transactions or contract is executed. Smart Contract can be partially or fully self-executing, self-enforcing, or both. This feature of Ethereum attracted wide-scale adoption from decentralized app developers around the globe catapulting Ethereum as the go-to platform for building and developing decentralized apps. However, a recent development has challenged Ethereum’s crown. EOS, a young crypto based on an open source infrastructure, offers solutions and has all the features that make it the holy grail for decentralized apps. Here are a few of the many key features of the EOS Blockchain. The EOS Team is an ensemble of gritty successful entrepreneurs and technical experts that is a dream of all budding tech startups. At top of the tree is CEO Brendan Blumer who also is one of the co-founders of Block.one. Block.one is the parent company that oversees the EOS development, its deployment and fund management. Second to Brendan is CTO Daniel Larimer. Daniel has already made a name for himself in the development circles as a designer of Steemit and Bitshares platform. He lends his technical expertise to the project and oversees the development process. Other key figures include Bithump’s former CEO, Richard Jung as well as renowned experienced advisors like Eric Schmidt and Mike Novogratz. While Eric needs little introduction but still for those who don’t know Eric was Executive Chairman of Google from 2001 to 2015. Whereas Mike Novogratz was an important pillar in Goldman Sachs Latin American and Asian Operations. The core EOS team and its objective have attracted unparalleled reverence from one and all in the crypto circle. The advent of Blockchain or Bitcoin paved way for decentralized alternatives to long practiced centralized transactions. However, the Bitcoin function was limited by functionality. It is for the efforts of people like Daniel Larimer that decentralized networks and solutions are now slowly becoming mainstream. His previous projects were both industry disruptors that triggered the change/transition from centralized solutions to secure immutable decentralized solutions. 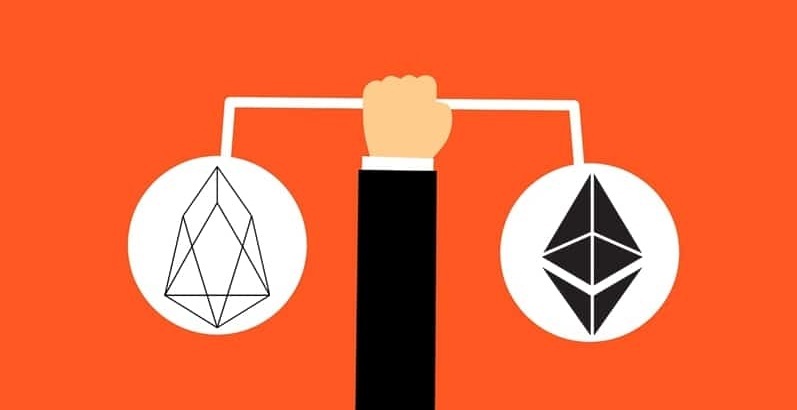 While the above projects have no doubt carried the Blockchain movement forward, the EOS was to overshadow both of them in terms of scale and impact. While the earlier two were limited to a particular user-specific decentralized solution, the EOS promises an environment in itself that will facilitate the creation, hosting, fostering and nurturing of decentralized apps of all types and purpose. Though some may argue that this is similar to what Ethereum offers. But EOS promises Scalability and Speed. Scalability and Speed have been the Achilles heel for Ethereum since its very inception. The EOS it seems has overcome it and this perfectly places him to be the epicenter for all future dAPP projects. EOS product development team has been hell-bent on developing futuristic scalable solutions and deliver a product that stays true to the promises it has made. Some key technology ingredients that make EOS a perfect recipe for success are its innovative consensus model. Unlike in Ethereum where proof of stake is feared to power a single stakeholder to direct block verifications as per his/her interests, the EOS implements DPOS (Delegated Proof of Stake). The DPOS will reportedly have 21 block producers. This will check forks and misuse of stakes. Secondly, another pressing issue is the long pitiable addresses which are hard to remember and most times difficult to read. EOS users will be able to initiate any form transactions by their respective usernames alone. Last but not the least a welcome change is sandboxing. Not only unusual app behavior on a user device will be immediately red flagged. It will also be ensured that no apparent changes can be made that freezes the user account or dupes the network to steal. Further EOS gives its users the right to tag permissions with the data they share on the EOS Blockchain network. This means that user can decide who can access the data and whether or not any third party can influence the data. So what makes EOS a faster and better alternative than Ethereum?. The pinpoint answer to this is tradeoffs. While Bitcoin uses Proof of Work and Ethereum employs Proof of Stake for validating blocks, both processes take time and are costly too. This is where EOS uses DPOS technique. The EOS ICO will last a full 341 days. This is staggering and unheard of before. No doubt many eyebrows were raised at the time but all prevailing skepticism has slowly but surely been put to rest. It is now pegged to raise anything from $2.3 billion to $8 billion or even more. This could be the blockbuster ICO that legends would be written and folklores sang about. What the EOS Promises Ahead? The year-long EOS ICO will end up with Billions of dollars for EOS Team. This is no doubt a lot of money for a startup. But it also brings a whole lot of responsibilities and mandatory promises that should be fulfilled at all cost. With EOS confident of a decentralized system that is both scalable and lightning fast, we could see more and more transitions of current Ethereum based dAPPS into the EIS environment. In this article, we will discuss day trading cryptocurrency strategy and tips for intraday trading in these digital currencies. One of the reasons most people choose to invest in cryptocurrencies is because they can be traded for profits. There are separate exchange platforms for the trading of crypto coins. 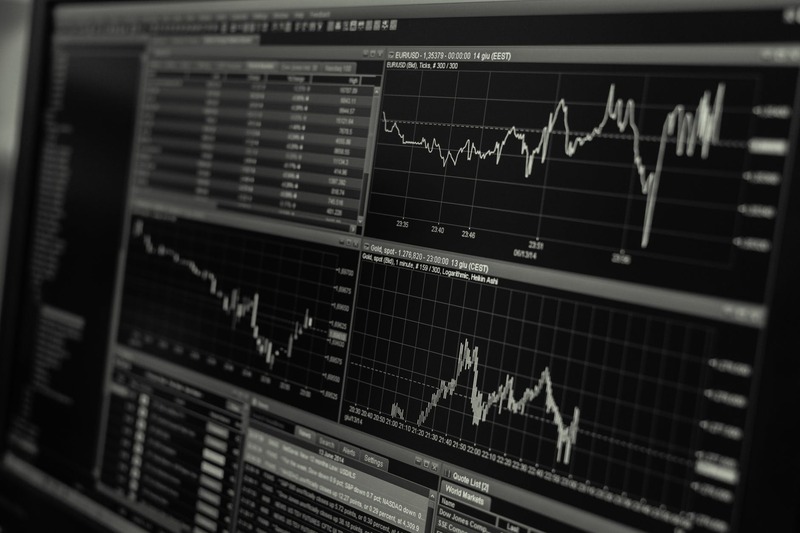 While it may seem like a simple process, similar to traditional stock trading, crypto trading is somewhat complex and may even result in a loss if you are not careful enough. 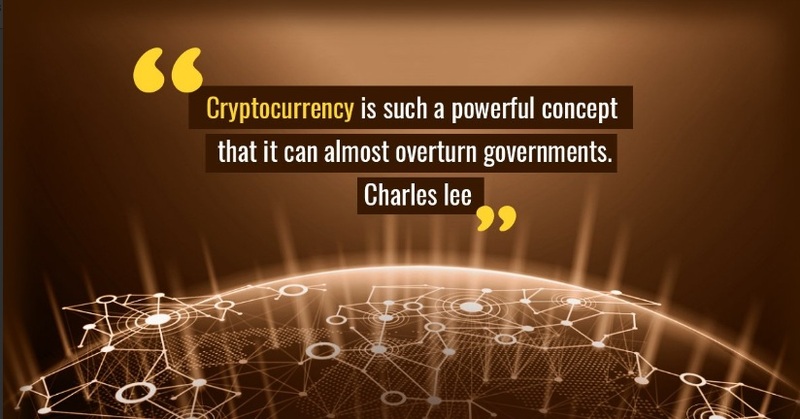 A cryptocurrency is a form of digital assets that does not have any physical existence. These currencies are created through a programming code and are designed such that the generation of new tokens and verification of funds transfer is regulated by high-level encryption technology. At this time, Most of the cryptocurrencies are based on the blockchain technology, which provides the platform for the development, management and storing of these tokens and their transaction records. Crypto Trading simply refers to the process of buying and selling cryptocurrencies. What is Daily Trading or Day Trading? Day trading, or intraday trading, is a specific kind of stock trading in which stocks are bought and sold within the same day, usually with a profit. Nowadays, many cryptocurrency exchanges are also allowing their traders to buy and sell currencies within the same day during the official trading hours. Day trading is a very calculated activity that should be done with extreme care. Professional day traders study trends, charts and the news very carefully, with a close eye on even the slightest price movements, in order to make the buy/sell decisions for the maximum profit on the day. They take calculated risks while capitalizing on even the minimal changes in the price of a currency within in a day. Day trading is even more popular in the crypto industry because of the high fluctuations within minutes and hours in the prices of top currencies like Bitcoin and Ether. If you are planning to intraday trade your cryptocurrencies, here are a few tips to help you earn more. Before you get started in the field of crypto trading, make sure that you know a good deal about the blockchain technology. 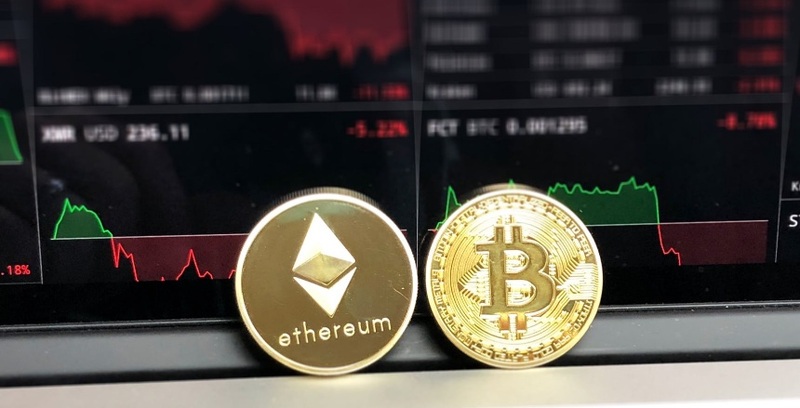 All cryptocurrencies out there are based on this technology, so it is important to know about blockchain in order to get familiar with the working mechanism of cryptocurrencies, which is crucial for determining the growth and fall trends of a particular currency. You can read about this on the internet. Once you get yourself familiar with the blockchain, the next thing to learn about is cryptocurrency itself. As I said before, you cannot expect to do well in crypto trading if you know nothing about the token/coin you want to trade. Find out things like how the particular cryptocurrency works, what the market price is, what the trends are. The more demand there is for the coin, the higher the chances of its price fluctuation. Do You Know About the Risks involved in Cryptocurrency? Crypto trading is a risky business, with intraday trading being even riskier. If you are starting in this field, make sure that you know all the risks involved. First of all, know and follow the golden investment rule strictly: “Never invest what you cannot live without.” Invest only what you can afford to lose. Also, cryptocurrencies are more prone to risks since they are free from any regulation. The price fluctuation of cryptocurrencies depends on the demand and reaction for them in the market and various industries. When You Should Invest and When To Stop Investing? Like any other investment, you should know when to invest and when to stop investing in cryptocurrencies. There is no golden rule. Yet the standard rule says that you should invest when the price is low and stop (sell out) when the price is high. This is even more crucial in the case of intraday trading of cryptocurrencies since the price changes very frequently. The market knows before you do. If the price of a particular cryptocurrency is about to go down, there might be some hints by experts and crypto news channels. Therefore, it is wise to keep yourself updated with the news and blogs of the crypto trading industry to be able to make the right investment decision at the right time. This is the most significant point of this entire article. The cryptocurrency you choose for trading will decide the fate of your trading activities. In order to participate in an intraday trade, you first have to purchase a cryptocurrency through an exchange. It is recommended not to invest all your money in one currency, but formulate a mix of risky and safe cryptocurrencies so that you do not lose a lot at once. Make sure to pick currencies that have an actual demand in the market and are probably already being used in some practical applications. Against, choosing a trustworthy exchange platform for your crypto trading is as important as investing in the right coin, if not more. The investment world can be quite intimidating very quickly, especially for newcomers. If you are just starting in intraday trading, be sure to add a security level by setting target profit and stop-loss. A stop-loss is the lowest price limit that you set for your funds to be automatically (or manually) withdrawn, with a profit, when the price of the currency drops to a certain limit. Similarly, a target profit determines the maximum profit/gain limit at which you will stop trading. Be wise in your investments. Intraday trading is definitely more fulfilling but also riskier. If you are not careful, you might lose your investment in just a blink. By following these simple tips, you can get the desired profits out of your cryptocurrency trading investment. ICOs are uncertain. They are not easy to trust. There are many other reasons why you should not invest in an ICO, but again, there are many reasons why you should. ICOs can give you faster and more returns than any other investment mechanism. Do not invest in the project, invest in the idea. So, how do you find a good idea for your ICO investments? Well, we can help. 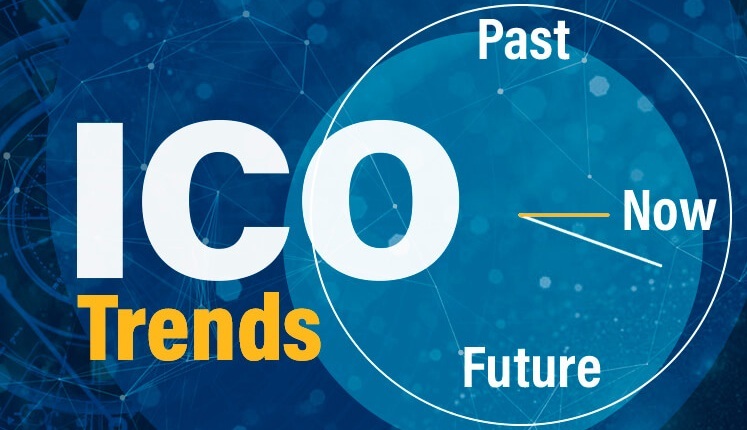 Continue reading to know the top ICO ideas for investment in 2019. Always read ICO ideas before you decide to invest in an ICO, make sure to get familiar with the project, read the white paper and get confident in the idea. A sophisticated digital payment app is something that everyone uses and will probably keep using for a very long time in the future. It is a trend that can never go out of demand. So, if you find a crypto project that claims to be providing a decentralized autonomous blockchain transaction platform, it is certainly worth your time and money. There are already some projects utilizing this idea and making a buzz in the industry. These will make a nice choice for your next ICO investment. This is a rather new idea but quite profiting in the world of cryptocurrency. Many crypto companies make use of smart contracts but there is no system for checking errors or validity of a smart contract. There are one or two new startups working on the similar concept. The idea is to create a mechanism for automatically auditing smart contracts for errors. Crypto miners can be rewarded for checking and finding bugs in smart contracts. Check out the companies working on this idea and do your own research on the subject before investing in an ICO. A common online marketplace for all kind of services and products. A new ICO could be developed around the idea of an e-commerce website through which all types of services are provided to consumers. Whether you are a freelance writer or a seller of certain goods, you can join the platform and start selling. The use of a decentralized blockchain will make sure that there are no intermediaries and the cost of the transaction is low for both parties. Consumers can utilize the platform to find the best products and services at the best prices and transact directly with the provider and doesn’t have to pay an agent fee. The popularity of YouTube has motivated the invention of many similar platforms but they all lack one thing – proper monetization options. YouTube is good but it is limited to video content. 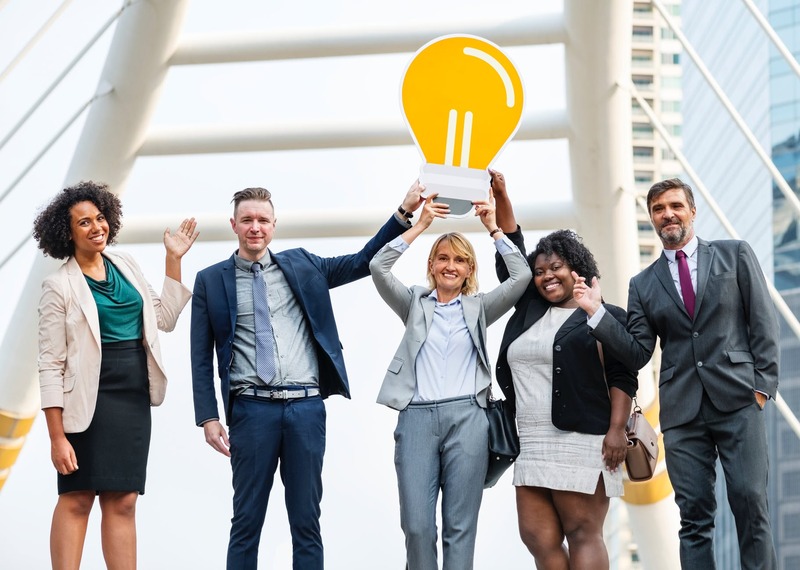 A better idea is to develop a content platform where users can promote and earn through any type of content, such as video streaming, social media posts, Twitter posts, Instagram content, blog posts and more. The inclusion of blockchain is to ensure that there is no intermediary and therefore no loss of money in transaction fee and/or other unnecessary things. The idea is to allow easy and profitable micro-investments in a range of industries such as real estate and finance by utilizing the power of blockchain and smart contracts. Real estate is an evergreen industry for investment purpose, however, the investment in this industry are generally limited to rich parties. This system will allow anyone to make small investments at lower risks and still get good enough returns. The blockchain technology also creates a level of transparency in the system making it feasible for users to trust developers and property dealers with their money. This is not a very unique or new idea but it is something that we need badly today. A proper healthcare system is one of the basic needs of our generation. People in many countries around the world lack even basic medical facilities. The idea is to create a global online system where users can find details of every hospital and healthcare facility in their region, compare the quality and prices and choose the best. The system can be designed for a specific region or a specific type of medical service, but the concept should be the same. Smart contracts can be utilized to manage and control specific patient information and data. A new cryptocurrency can be introduced or existing ones can be utilized for payment purpose. This idea involves creating a travel reward system where a traveler could get rewarded (in cash, tokens or in any other way) for sharing useful travel information, content, videos, guides, tips, hotel reviews, etc., for the use of other travelers on a completely free and open-content platform. The developers can further enable other related services such as online booking of hotels and travel tickets in order to increase the use of crypto coins. The platform can be further modified to provide a fix for issues that people usually face while traveling. Rewards can be offered for various kinds of activities of users and travelers. There are some other crypto startups working on some really innovative ideas such as green energy, decentralized NGO services, global internet service, a decentralized marketplace for second-hand items and more that you can check out for your investments in 2019. The correspondent suggests of authorization to access electronic health information and separate other requirements. However, the current healthcare technologies do not working fully address these requirements, because they face limitations related to security, users privacy and ecosystem access. Blockchain in healthcare can supportable to the entire lifecycle of a patient’s electronic medical record (EMR). Is can be used capabilities in the key manufacturing phase to ensure pharmaceuticals are authentic. Segment by application blockchain in healthcare: Financial Services and Non-Financial Sector. Blockchain technology is one of the most secretive technologies in the world and multiple industries are adopting blockchain technologies in various sectors. The healthcare sectors are adopting new technology every day and new innovation and invention technology are inching every day. As per the Orian Research researcher survey Healthcare industries are adopting blockchain very fast. Blockchain technology has a possibility to transform in healthcare and medical sectors increasing the privacy and provide security to healthcare data. The technology provides a new model to healthcare information exchange and transfers. If healthcare industries are want to secure healthcare network infrastructure this technology plays a vital role in verifiable identity and authentication of all participants. The (IOT) internet of things point of view patient-generated healthcare and medical device data has massive promise, especially if interconnected with health records accessed by providers and patients. Personal identities will remain secure healthcare data when added to the blockchain. There are many interested investors and investees in blockchain in healthcare technologies that are helping growth factors of healthcare blockchain industries whereas the knowledge of the benefits and power of the blockchain are being understood by various businessmen. The healthcare industry will change humongous data of medical records, images, documents, transaction information, and lab reports data which require a significant amount of storage space, for which organization every member included in the chain, must regularly invest for the exceeding storage capacity. The blockchain is a shared record of peer-to-peer transactions built from linked transaction blocks and stored in a digital ledger. The economically and shares it securely among disparate applications and systems. However, less than 10% of the healthcare industry regularly shares medical information with providers outside of their organization. Some key participant is analyzed using blockchain technology in healthcare: Hashed Health, iSolve, Patiently, FarmaTrust, SimplyVital Health, IBM, Change Healthcare, Microsoft, Optum. The United States, Europe, China, Japan, Southeast Asia, India, Central & South America region hosts the dominant blockchain in the healthcare industry by market share, growth, trends, regional scope and technological advancements made with upgraded IT infrastructure in this region. Some product segment in heal care Public Blockchain, Private Blockchain and Permissioned Blockchain. 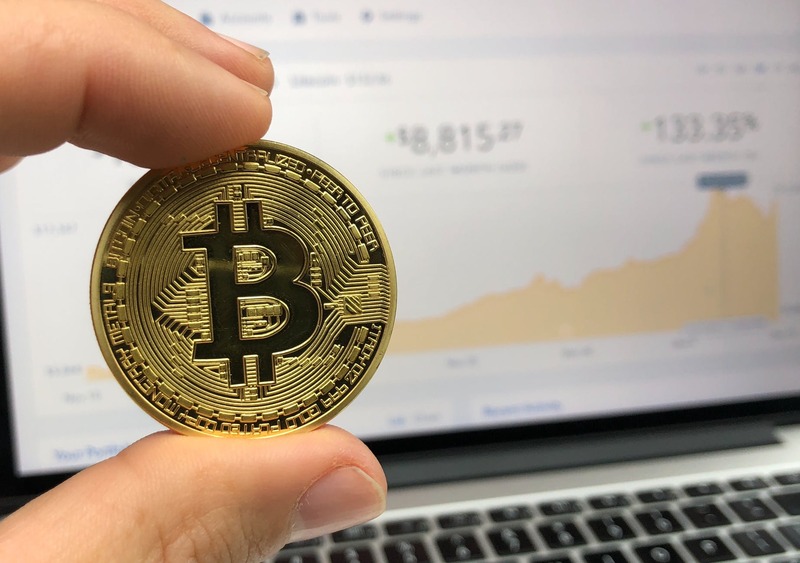 The first Cryptocurrency Bitcoin is now most popular these days due to her market price, every investor and business tycoon are interested to invest in Bitcoin. Here I am Share the Top 10 Unbelievable Facts about the Bitcoin, Read it carefully. Bitcoin was launched on the January 3rd, 2009 and was founded by Satoshi Nakamoto, but this is a Mystery many people think that the Bitcoin was launched by Satoshi Nakamoto and his team, while some other say that bitcoin is launched by these peoples Nick Szabo, Dorian Nakamoto, Hal Finney, Craig Steven Wright, and others. It was a myth that There is an infinite number of Bitcoins, Yes it is a true Bitcoins are not available in the infinite number they are present in the limited numbers that’s why Bitcoin has more value because it’s a fact a thing which is unique and available in limited quantity in this universe has precious value. The First Bitcoin transaction was made in 2009, At that time 10000 Bitcoins were paid for two Papa Johns pizzas. I think this is the most expensive pizza deal ever. According to IRS, there are only 807 people exist who have declared Bitcoin for tax purposes. Genesis Mining is a Bitcoin cloud mining company has sent the bitcoin in space in 2016. This process is done with the help of 3D bitcoin model and a bitcoin paper wallet. James Howell is the most unlucky man because he’s lost her 7500 bitcoins because he was throwing his hard drive which has his bitcoin wallet. That clearly indicates that once’s you lost bitcoins you will never get them back. A technology called blockchain is the only way to see your all bitcoin transactions, all bitcoin transaction is transparent. University of Nicosia, Cyprus is the first university which accepts the bitcoins as a student’s academic fees. There is a formula to calculate the bitcoin value and it is measured in the Satoshi/byte. 1 Satoshi = 0.00000001 Bitcoin. Microsoft, Dell, and Expedia are the top companies who accept the bitcoins as a payment. ICO (Initial Coin Offering) is a common choice of fundraising for cryptocurrency startups. This involves the company putting a part of its future crypto tokens on sale in exchange for initial funds. This is beneficial both for the company and for the token buyers. The ICO gives a startup a perfect and affordable way to raise money to carry their project requirements, while at the same time, strategic investors get an opportunity to invest in a market where a high return on investment is almost guaranteed. Or is it? In the past few years, crypto startups have managed to raise funds in billions of dollars and presently, it is being considered the most effective way to raise money for a new company. However, not all ICOs are alike and not all ICOs can guarantee you an assured return on your investment. Therefore, it is important to choose and invest in a good ICO. Here are a few tips for Investing In ICOs. You will also find here some reasons why you should consider investing in an ICO? Know that you are not actually investing in a cryptocurrency, since the currency has probably not been launched yet, but in the idea behind that currency. So, the first thing you need to do is try to figure out whether the idea is worth your money. Does the company/idea provide a Blockchain based solution to a problem which cannot be solved otherwise? If not, then the public would probably not be eager to adopt it. Does a similar solution already exist? If yes, then why would someone be looking for the same product unless it has something unique to offer? You can tell a lot about a company or business just by looking at its website. The level of professionalism on the website, including the availability of proper and right information, is crucial. Look for the following things on the website of the ICO in which you are considering to invest. The White Paper – a white paper detailing the layout of the project including all the information, proposal, idea, target market, etc. The roadmap – If they are serious about the project, they must definitely have a project roadmap (timeline). The team – a reliable company will always show the team behind the project to increase the user trust. Website appearance – A company that desires to raise money from investors must be ready to invest in its own website. If they don’t, they are probably not serious about the project. It is also important to check whether the company has any experience in the particular industry as well in general business market. Make sure that the team members are experienced and qualified in their specific areas. Whether the company has previously managed any multi million dollar business or any projects of the same measure. Who are the advisers, legal team members and investors of the company and so on. How many coins the company plans to hold and how many it puts on sale. Whether the company has proper social pages and the level and quality of activity on these brand pages will also tell you a lot about the company’s reliability. Search the project/company name in Google for scam alerts and to read the reviews from other users/investors who are associated with the name. Also, look out for the past projects of the company. Ask for the same if not mentioned on the website. Check out the individual profile of each of the company employees, team members, investors and partners for legitimacy. You cannot be too cautious when it comes to finding the right ICO to invest in. Cryptocurrency may be one of the fastest rising markets on the internet, but it is also very much vulnerable to fraud. Be alert and take better decisions to find the perfect place for your investments. What is XMPP Blockchain Technology? Victor Hugo once said, “Nothing is more powerful than an idea whose time has come”. Many ICO project develop a parallel XMPP server feature for Blockchain technology is one such idea. 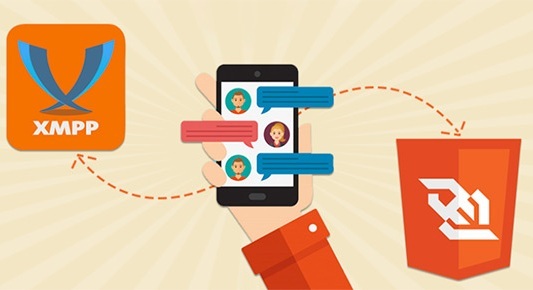 What is XMPP and Instant Messaging? XMPP stands for Extensible Messaging and Presence Protocol. 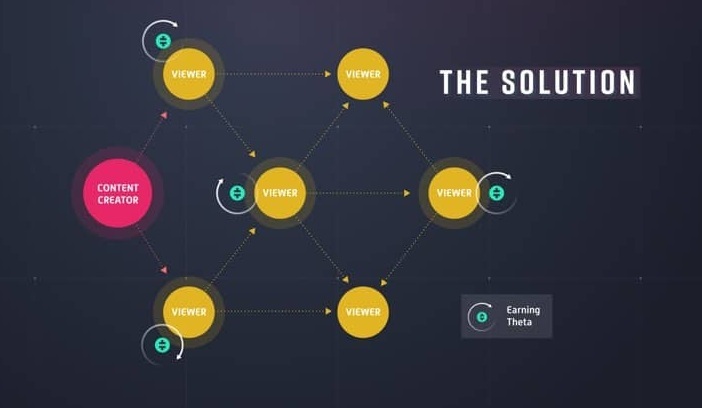 To explain it in simple terms the reason why you and your friends can share content like texts, images, gifs, videos etc to and fro is because of this protocol. It differs from the general HTTP protocol in the sense that in HTTP the client-server communication is one way whereas in XMPP it is both ways. Due to slow blocks on the blockchain, the integration of XMPP will have high latency. But encrypted messaging may lead to IOS/Android wallet apps being able to have encrypted messaging conversations with external XMPP clients (trillian, jabber, etc). Let’s try to understand the ins and outs of the IM Protocol or the XMPP architecture. We also throw light on some of the possible solution paths we are working on to migrate XMPP features on BlockChain. The above features make XMPP a goto feature for chat apps. Developers use these to make secure and easily scalable apps for app stores. Hence, a similar feature in blockchain will open the Pandora’s box for scalability. Scalability is a major roadblock for blockchain based systems or services. To scale a system that copies all the transaction it undertakes is a humongous task involving a lot of time, space and an extremely efficient resource management. Ethereum is one of the many different blockchains. Let us look at some of its technical parameters. In the last year or so, the demand for Ethereum network has increased manifold. This is mainly facilitated by the increasing number of ICO’s using Ethereum network. Hence the network is congested and loaded. The blockchain is still a very raw technology with great untapped potential. Ethereum has deployed Raiden Network to resolve the scalability issue. This would be followed by the Metropolis and Serenity (Beta Solutions). Solution deployment will drain time, money and most important of them all: quality network architects. Plasma networks though in its infancy are supposed to increase tx/s to “billions per second”. How To Determine Whether ICO Is Profitable Or Not in 2019? Initial Coin Offering or ICO is the term which you are frequently coming across these days. There are plenty of news or links currently running on the internet about ICO’s. Concerning all the matters which are ruminating around you, you must be thinking is it right to invest this time and grasp the opportunity or just stay calm as the decision can later make you regret over the decision. Keep this thought aside for a while and question yourself do you want to make your year 2019 a profitable opportunity to go for? If your answer is yes, then you are at the right place to further clear out your doubts in this regard. Just take a chance and join as a small investor to plunge into the opportunity. As you know with the growing world, it is necessary to walk fast not to let others behind but to pace with the modern world like the promising ICO offering. A professional team can help you guide through the way by making every step simple and understood. But there are various options available in the market. Therefore, it is hard to find the ideal ICO which fulfills your necessity and ability to create a solid flow of income in your way. It is necessary to choose an ICO published by a reputed firm or business. Else, you might end in the dark and it can further demotivate you to further invest in future. Does the company launching the ICO has any experience or is it a bunch of people leaving on edge of their reason and just hoping to make it big with a blindfolded shot.? It’s important to know for sure the nature of the business. Assess properly and evaluate if the company launching the ICO is real or not. Be very careful so that a shell company does not leave you shell-shocked. The ICO tokens should add value and utility to the business. They should be like the rivet that join the different link pins of the business together. They must be the glue that binds the bigger picture together. You should understand the purpose of the token and its utility for the firm. 1. There should be an existing problem that the business model solves. 2. The Solution should be viable and not hypothetical. 3. The Company must have some tangible experience to show. 4. The ICO tokens if not the core must be an inextricable part of the solution. The best whitepaper is the one that puts forth a complete roadmap as well as defines all the milestones that the business is willing to achieve in the future. Let’s face it not all great ideas see the light of the day and not all ideas are feasible. ICO’s are non-regulated. There are no Quality filters for the team’s launching them. Besides carefully analyzing the business idea alone, try to look behind the curtains. And cast your thoughts on the possible long-term implementation. Remember if great companies could be made on a piece of white paper, then there is no need of this blog. Great ideas need not always answer or solve great problems. Never be lured by an unrealistic proposition. Make sure the project has a strong and achievable concept behind it. Great Companies, Ventures, Startups etc have one and only one thing in common. They comprise of people who are passionate about their work. Money is secondary to them, they wake up every day because they love what they do. Stay away from ICOs that are run anonymously. Without any trace of responsibility, the faceless firms can just vanish out of the blue. Check out the website for team details to get a firm idea about the pillars that support the company. If any google search or equivalent research on your part returns no reliable information, consider it as a red flag and remain averse to the offering. Remember the infrastructure as well technical prowess required for running a blockchain based business model is intricate and needs to be underpinned by a highly technical group. Scalability both in terms of technology as well as operations is of primary importance. Perception and goal determine the longevity and growth of a company. A company should very clearly define in its roadmap its future strategy as well as the future growth verticals it plans to scale. Also, the company should be dynamic and ready to take feasible alternative approach. In case the original one does not pan out as planned. 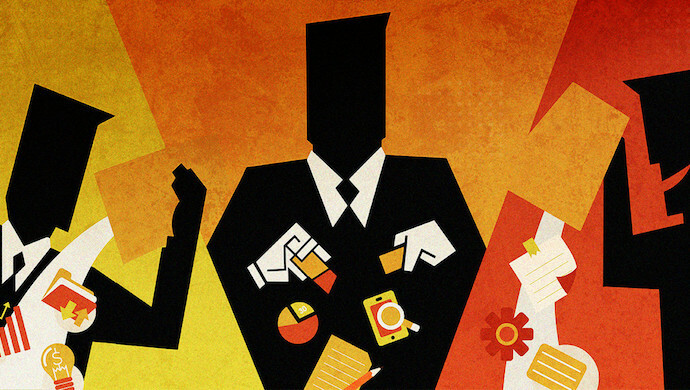 The business environment is quite hard to understand nowadays in all fields of activity. Be sure to cross-check the previous projects undertaken by the company to analyze the flexibility and scalability of the company during a crisis. A Precise and Practical Roadmap. A Detailed Fund Distribution Structure. All documents relating to the company’s activity must be available on the company website. Communication is the key for companies to build networks as well as customer base. Look out for the social media footprints of the ICO offering Company. Visit the facebook page, the twitter account as well as check the linked in profiles of the Founding Team Members of the company. A transparent company would also share informative blogs about the solutions it is working on as well as the press release would draw parallel with the roadmap shared in the whitepaper. This is the best way to see whether the team is eager to help investors and glad to communicate with them. Don’t place your hard earned money on inexperienced startups. More than half of the startups close down within months of starting operations. Instead, buy ICO’s of companies which boasts of experienced team members with a proven track record in technical as well as business operations. Buying ICO tokens of newly mushroomed startups comes attached with a whole set of risks and insecurities. In case the idea of a new startup has completely taken you off your feet, make sure to consult an expert. The one thing you should zero down on while going through the roadmap is the soft and hard caps of the ICO. In some cases, the hard cap projection goes out of the roof. Make sure that the hard cap actually makes sense. You must seriously consider twice before investing in those ICO’s that require only one-tenth of the projected soft cap for procuring the listed items in the roadmap. The Token distribution plan would be fair and provide a level field for investors and developers. Be very careful to see through the layers used by fishy ICO’s. The ICO offering company should allocate the major portion of the token to the prospective investors. The Roadmap should include in details the distribution structure as well as a details plan for profit sharing post-ICO launch and project success. The whitepaper should precisely highlight all important terms and conditions of the ICO. It should very clearly be aimed at serving investors and throw light on the values the project stands for. A reliable and transparent ICO will provide great customer support for investor queries and grievances. In case the ICO’s platform does not do so, make sure to do the necessary research at your end before jumping on the supposed bandwagon. We hope that the above ten points will enable you to take an analytical approach towards ICO’s and ensure that you stay away from Ponzi schemes and in the process gain a good ROI on your investments.